Analyzing the footage, the convoy seems to be close to the border with the Kurdistan Regional Government. And without a doubt those are Turkish military trucks, more precisely, the Mine-Resistant Ambush Protected (MRAP) “Kirpi” built by BMC. In the case of an internal operation there is only one extended possibility: a huge operation against the PKK, but as the high ground is under Turkish control, it’s unlikely that such forces are needed for raids. Cross into Iraq, participate in the assault on the ISIS-held Mosul. Cross into Iraq, launch operations against PKK. 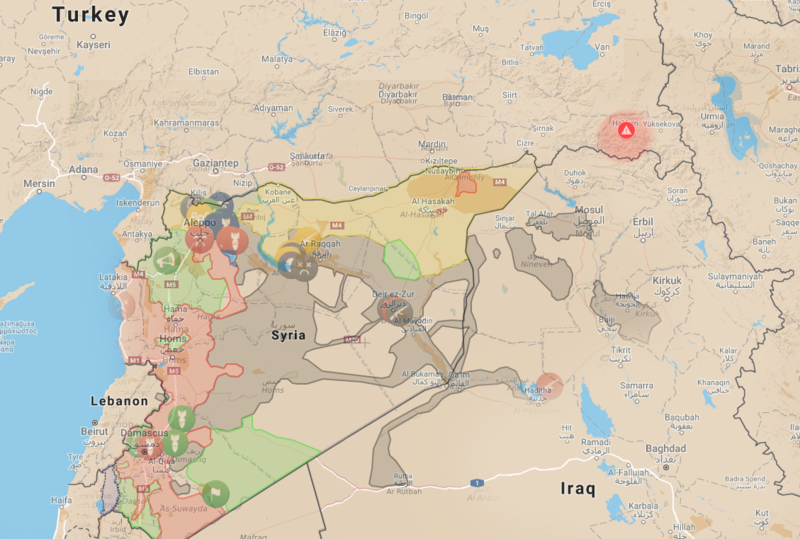 The third option is most possible as it may follow the same pattern of intervention in northern Syria in October 2016: clear the border from ISIS + Deter and halt Kurdish advance. Judging by the military assets unfolded and their capacity, the operation could be similar as dimension, or maybe bigger than the early stage of Euphrates Shield in Syria. My estimation ranges between 200 and 300 troops but could go as far as 400. Turkey has regularly intervened in the past on Iraqi soil based on an co-op agreement with the Kurdistan Regional Government. Pashmerga has also received training and aid from Ankara in the Turkish-administered military base in Bashiqa. But it’s presence was dealt with hostility by the central government in Baghdad that even threatened with military response if Turkey continues to cross its border and keep their military camps open. President Barzani has also been put under pressure from the opposition in KRG for its cooperation with Ankara. Erdogan sees the KDP and Barzani as strategic partners in their fight against the PKK. The separatist-Marxist terror group benefits from a tangible safe haven in Iraq’s Qandil mountains, near the Iranian border. PKK also enjoys a moderate support or tolerance in Iraqi Kurdistan from certain factions and parties, such as the Patriotic Union of Kurdistan (PUK). Turkey has also warned it will intervene in Mosul if the operation fails to bring stability to the Nineveh Plains. Things may have changed between Turkey and Iraq as Prime Minister Binali Yildirim has been on an official visit in Baghdad just yesterday (January 5th) in which the issues of Bashiqa base and their cross-border air strikes have been raised. In the last period of time Iraqi Prime Minister Abbadi has taken several firm anti-PKK stances and has frequently discussed anti-terror issues over the phone with its Turkish counter-part. Relations have been described as being “warmed-up” and the Ankara-Erbil-Baghdad trilateral could have been harmonized in the process. Thereby a political context for such a build-up may exist.Turkey could have followed the same safe pattern of asking for permission before launching a medium-sized operation in Iraq, as they did in Syria.